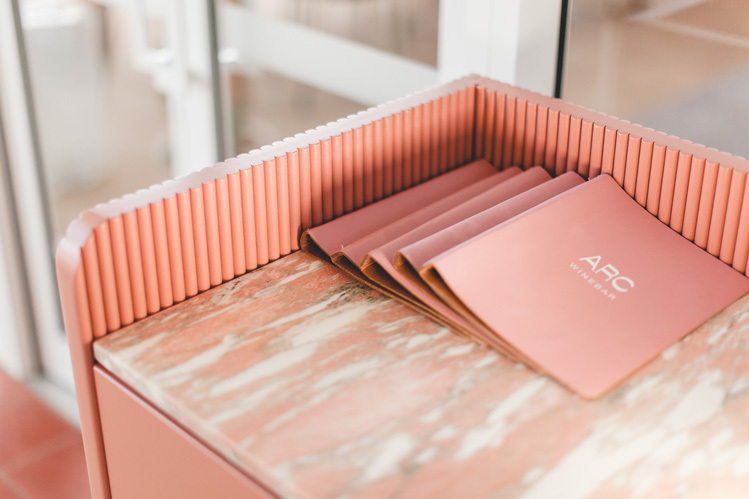 Beautifully designed by Anna Spiro, ARC is the latest addition to the Howard Street Wharves precinct. 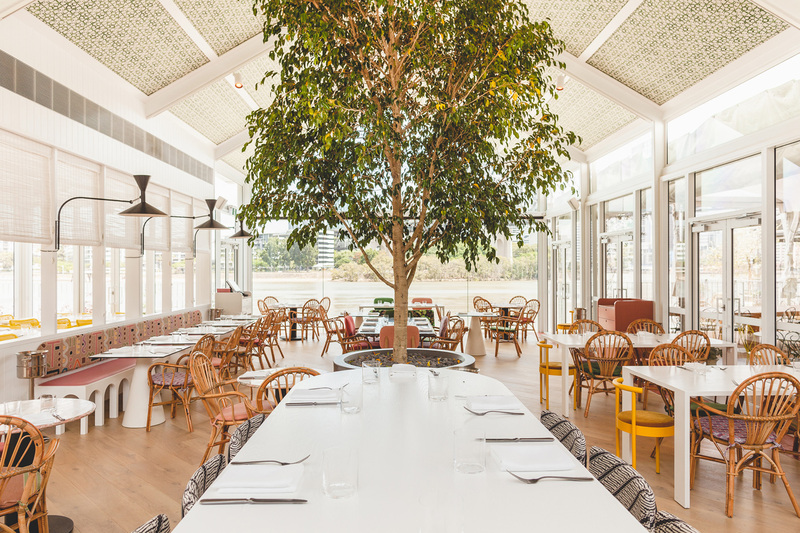 The Ferrier team created a range of furniture inspired by the restaurant’s vibrant hues, eclectic design and light, white interior. Colour and culture sets the scene at ARC. 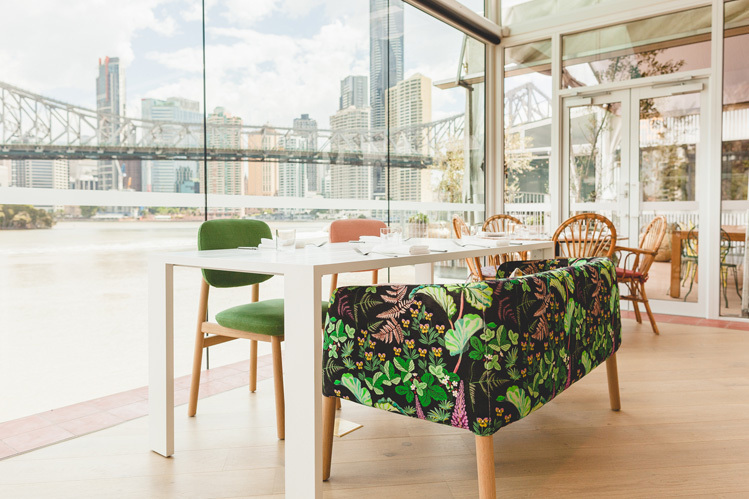 Featuring a 100-seat dining space and 140-seat wine bar, the venue flaunts one of Brisbane’s best riverside views, both indoors and out. 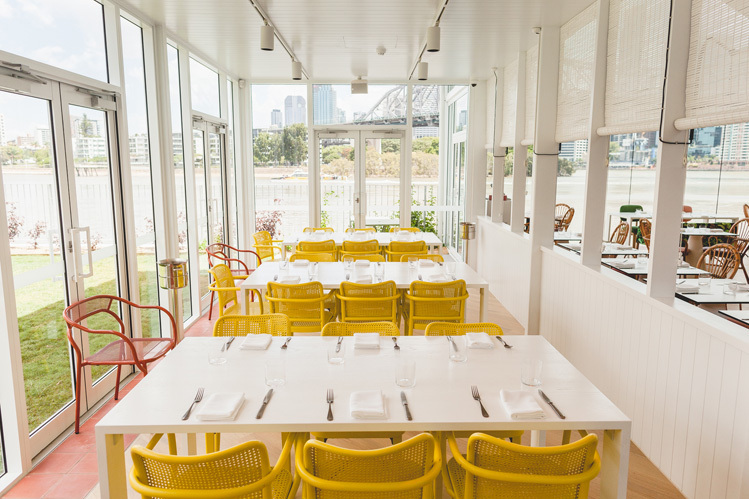 To complement ARC’s colourful seating, our team built six American White Oak dining tables with a white 2pack finish. 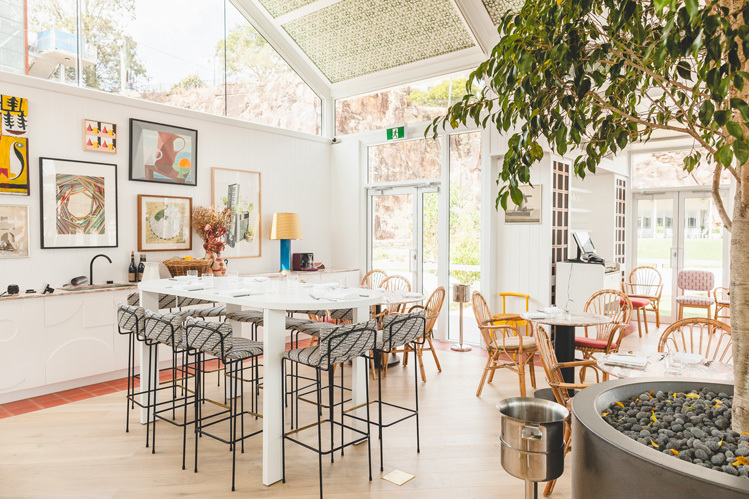 A timber dry bar was designed to seat eight, its white pill-shaped top nodding to the venue’s eclectic influences. Rose-coloured Italian marble was chosen for eight round dining tables. This sturdy stone echoed the pink hues used throughout the space, and were completed with black powder-coated steel bases. American White Oak Dining table with white 2pack finish. Colourful seating featured throughout the space. 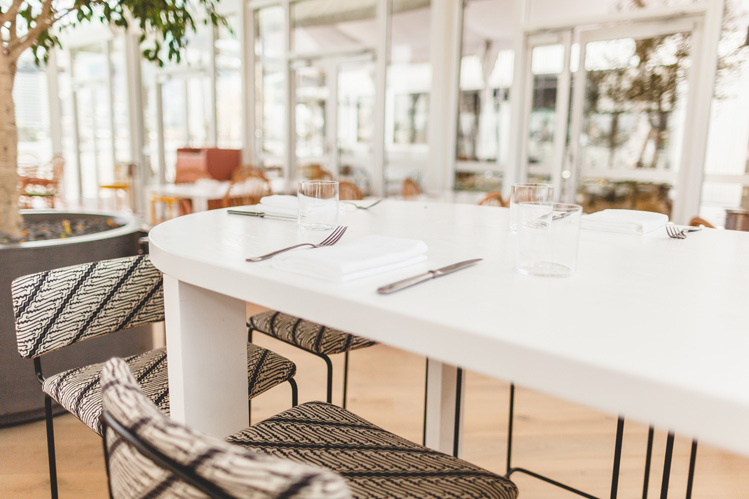 The use of texture and pattern is key to the venue’s distinct look and feel. Ribbed cladding – finished in both white and coral 2pack – was a feature of five custom wait stations. Custom cabinetry was built into each station, which was then topped with either solid marble or American White Oak. Ideal for those sunny Sunday afternoons with friends, four large outdoor dry bars were designed for the deck. These were built from New Guinea Rosewood slats, with a white 2pack finish and powder coated steel frame. 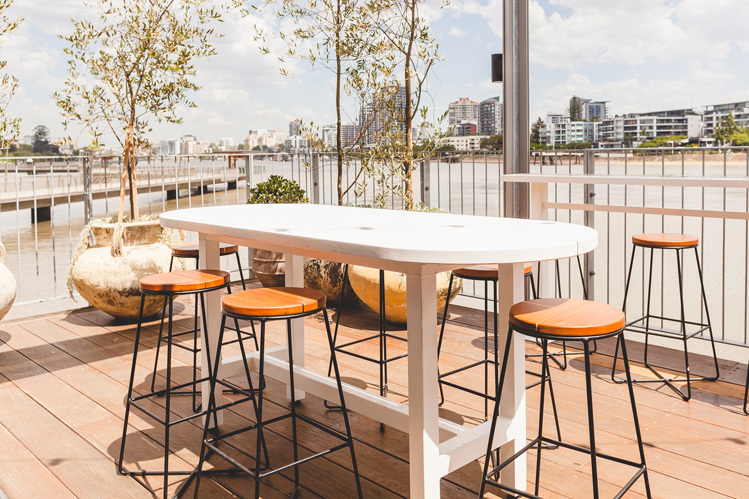 We paired the bars with our Ferrier Signature Outdoor Stools, using Blackbutt for the slatted top and finishing each steel base with a textured black powder coat. Outdoor Dry Bar with Ferrier Signature stool. 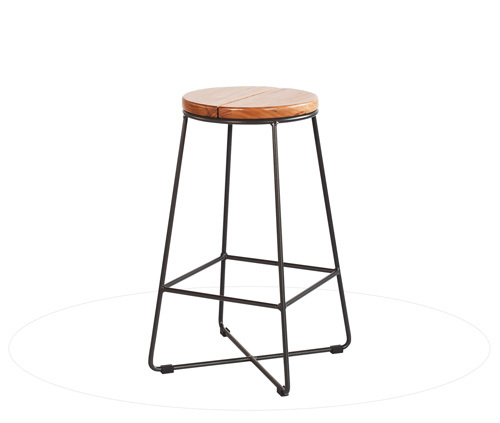 The Outdoor Barstool combines comfort and durability. get in touch with the Ferrier team. © Copyright Ferrier Furniture 2019.